Con un'area di circa 25.000 mq ed un ampio parcheggio custodito, accessibile dalla S.P. 141 delle saline, sorge quest'incantevole parco acqutico, tra Zapponeta e Manfredonia e a pochissimi km da San Giovanni Rotondo. Authorization to the treatment of my personal data in compliance with the Legislative Decree 196/03. in compliance with art. 13 of the Legislative Decree 30 June 2003, n. 196 (“Privacy Code”) (1) The collection and the treatment of data provided by the user occur in respect of the Legislative Decree n. 196/2003 and of any other regulation as for privacy protection. This informative report is valid for the website www.settannicompany.it and/or for the services owned and managed by FRANTOIO OLEARIO of Settanni Vincenzo & C. S.a.s. where the link to this informative report is present. (2) The personal data of the user will be treated, communicated and spread, even with the use of electronic or also automatized means, directly and/or by third parties for statistical purposes or for the sending of advertising material. (3) The owner of the data treatment is: FRANTOIO OLEARIO of Settanni Vincenzo & C. S.a.s. with main office in C.Da Montaltino - 76121 Barletta – VAT 04462530728. Data will be kept at the offices of the company, in its servers, at external companies (e.g. for the administrative, legal, logistic, technical management) for the period necessary in achieving the purposes for which they have been collected. (4) Several types of data will be treated: - navigation data. E.g. : IP address; browser and operating system used; URI, URL, data and time of the visited pages, cookies, etc. These data are usually collected for statistical purposes or for possible information crimes against the website. – Data provided voluntarily by the user. E.g. : name, surname, email, phone, address, etc. These data are explicitly communicated by the user and are used for the registration to a service, for the filling of a form (e.g. : contacts, comments to articles, etc. ), for the registration to a newsletter, for the reception of advertising material, etc. (5) The Client has the faculty to exercise his/her rights recognized by art. 7 of the Privacy Code (former art. 13 of Law n. 675/1996): the deletion, transformation in anonymous form or the block of the data treated in the violation of the Law, and to oppose in any case, for legitimate reasons, to their treatment. Possible requests must be sent by email to info@settannicompany.it or at Frantoio Oleario of Settanni Vincenzo & C. S.a.s. 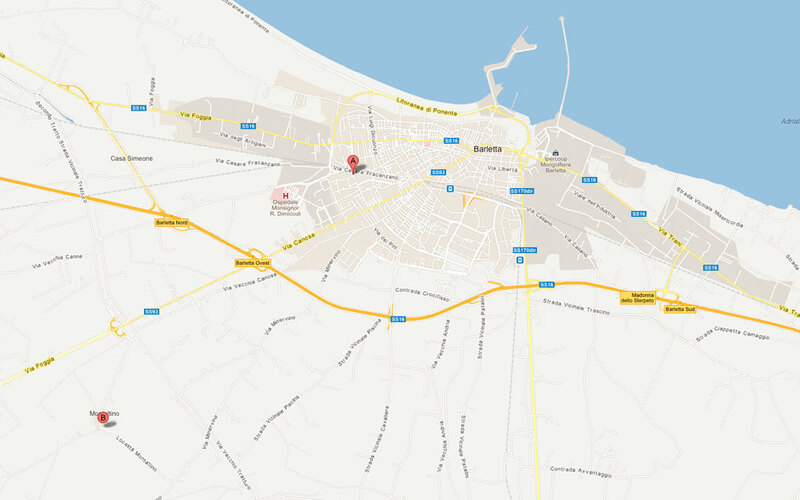 with main office in C.da Montaltino - 76121 Barletta.